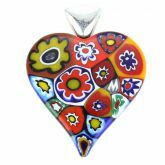 Art and elegance, past and present of Venice come alive in this one-of-a-kind Murano Glass pendant. 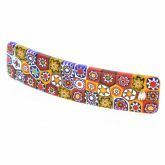 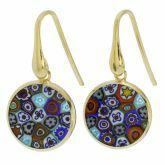 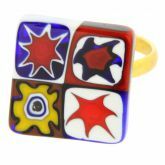 Murano's inimitable Millefiori technique, where tiny glass mosaics with stylized flower designs inside are fused together, is the secret behind its style and sophistication. 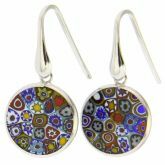 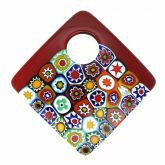 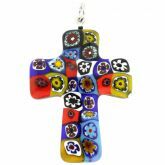 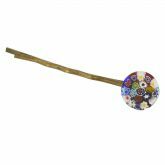 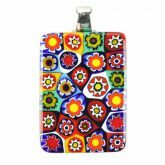 Carefully crafted by passionate Murano Glass artisans, this pendant features fun mosaic pattern in rich colors set against smooth shiny finish. 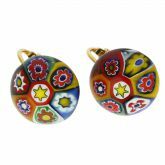 This piece makes a perfect unique gift for a woman who appreciates European flair, Venetian elegance, and fine Murano craftsmanship. 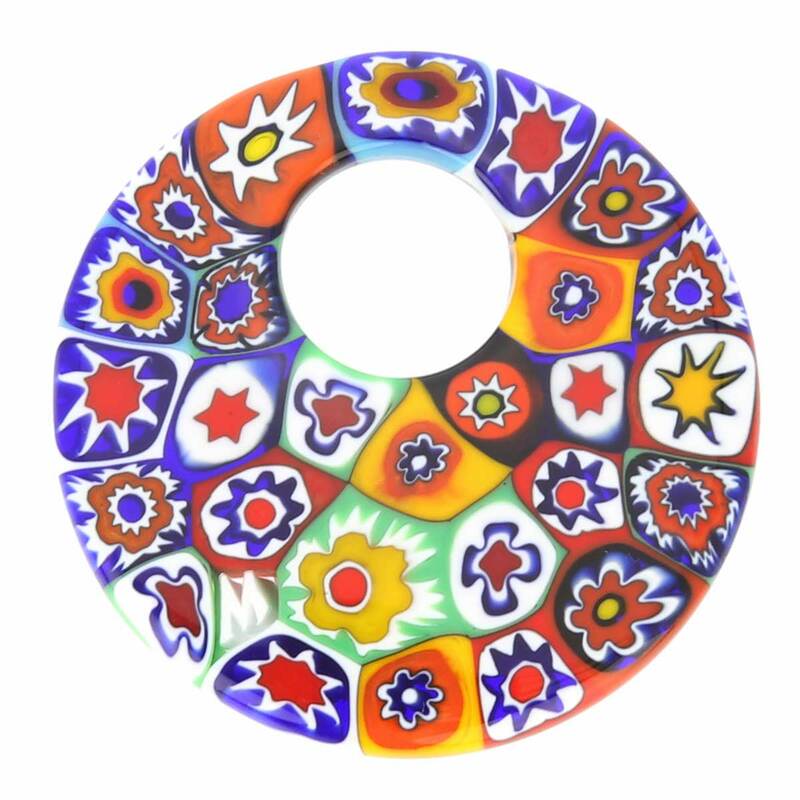 Measurements: This Murano Glass pendant measures 1 5/8 inches in diameter. 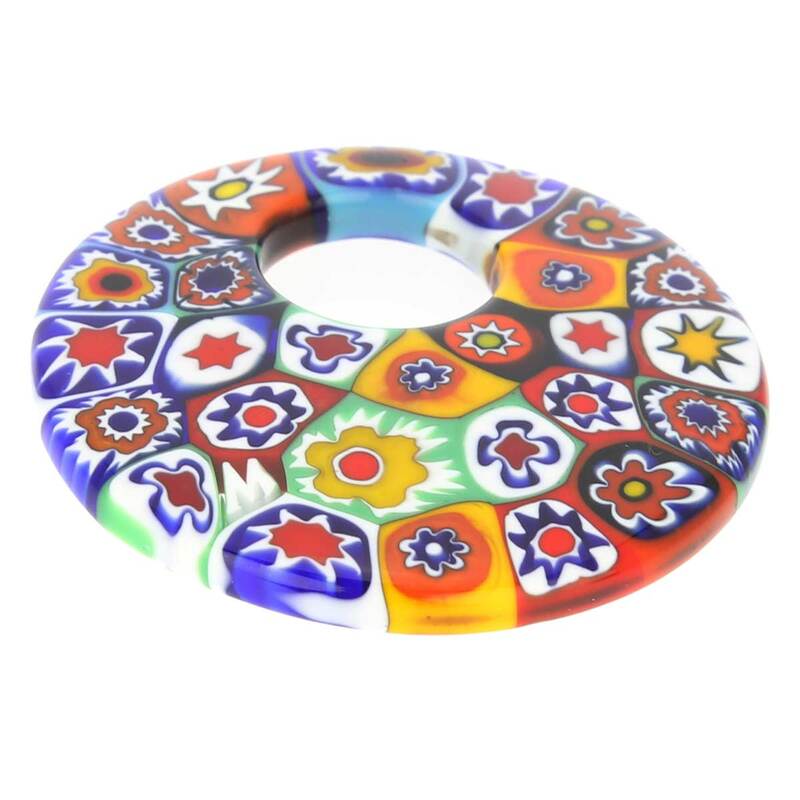 The hole measures 1/2 inch in diameter and will fit any cord or ribbon. 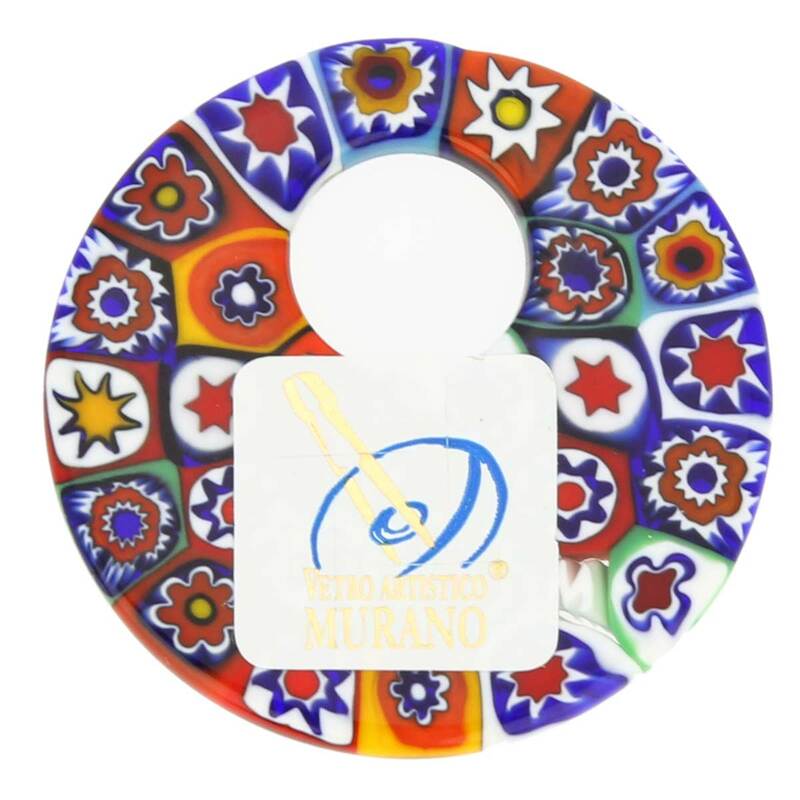 The pendant is created by famous Murano Glass artists and comes with the certificate of authenticity, an attached sticker of official Murano Glass Consortium on the back, and an attractive velvet pouch.